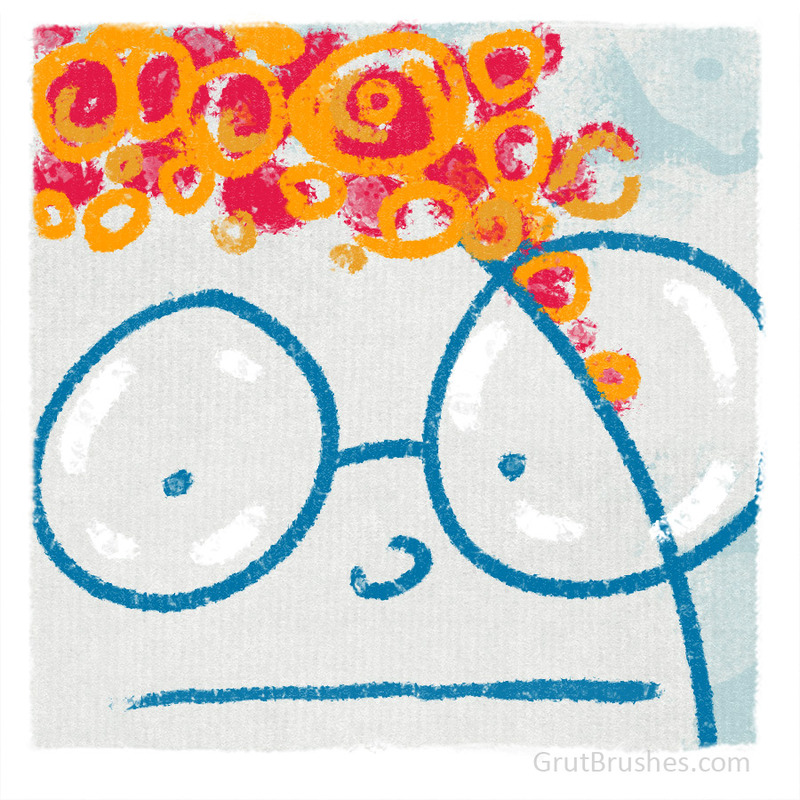 …but I was missing my GrutBrushes from Photoshop. To be the first to know, put your name on the list below. Send me iPad Brushes updates! Don’t forget to click the link in the confirmation email you get when you sign up! This week’s free Photoshop brush of the week is “Slip Genie” an ink brush with a tremendous width response range. 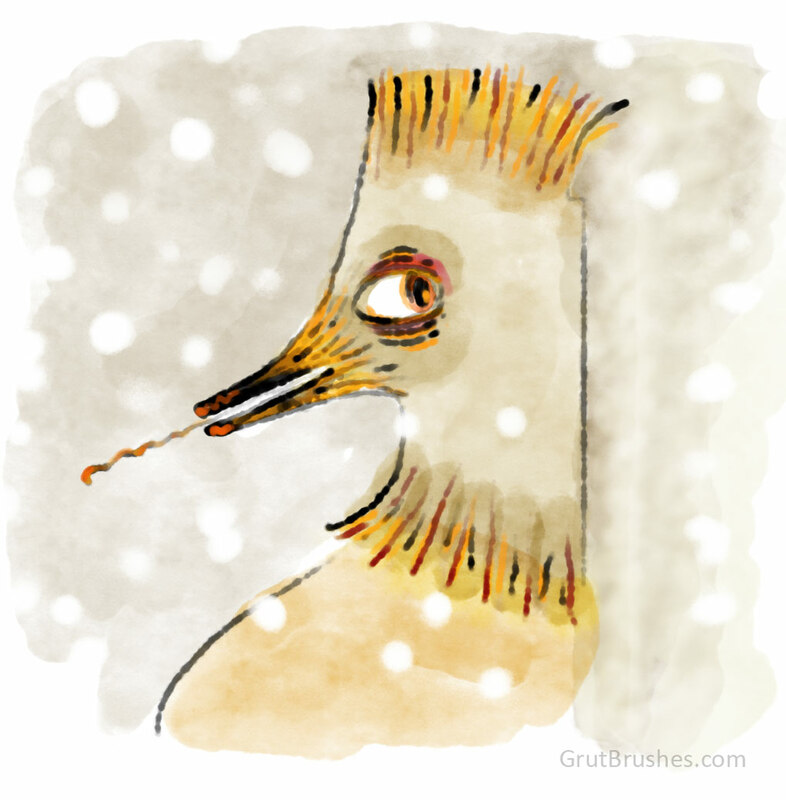 Glide your stylus lightly across your work for a razor thin line or give it all you’ve got and it blooms out into a wide breadthed bristle brush. This was sketched without changing the brush size, the variations in stroke width were all achieved solely be varying the pressure of my brush stroke on the Wacom tablet. 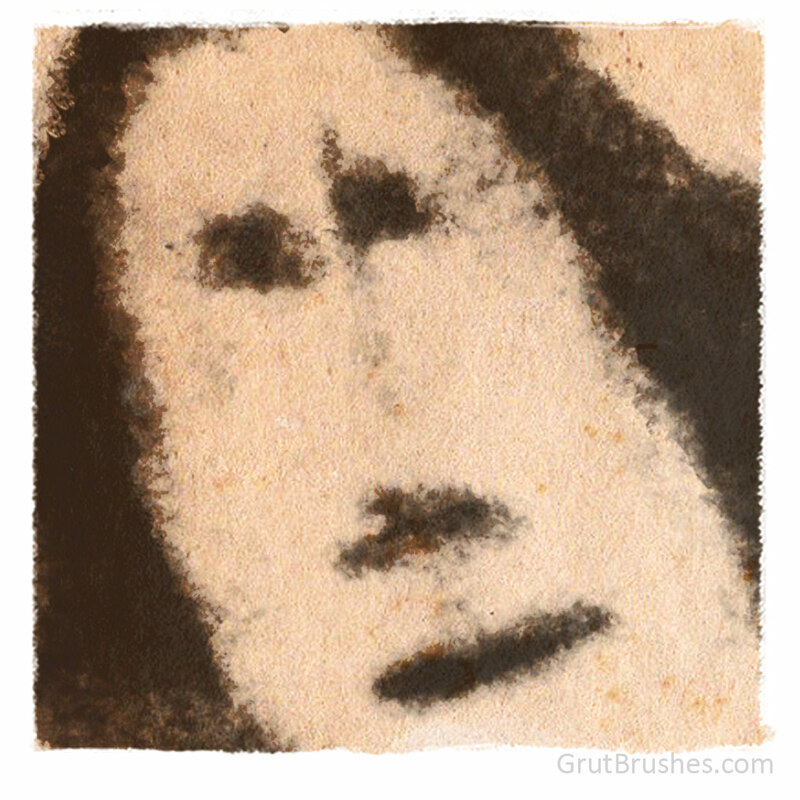 This week’s free Photoshop brush is Slight Yell, an ink brush with a very smooth controllable ramp up from eyelash fine line to fat round width and worn edges at the highest pressure. Useful for tasks from line drawings to lettering. This one is an atypically large file size (almost 3MB whereas most are a few kilobytes) so if you don’t use it you may want to delete it from your Tool Presets after you try it out. 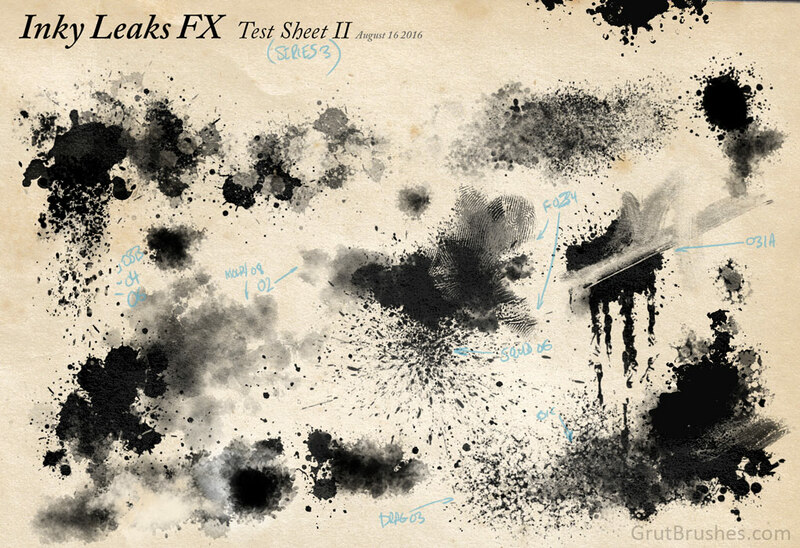 This week’s free Photoshop brush is the Lonely Goal Photoshop ink brush. 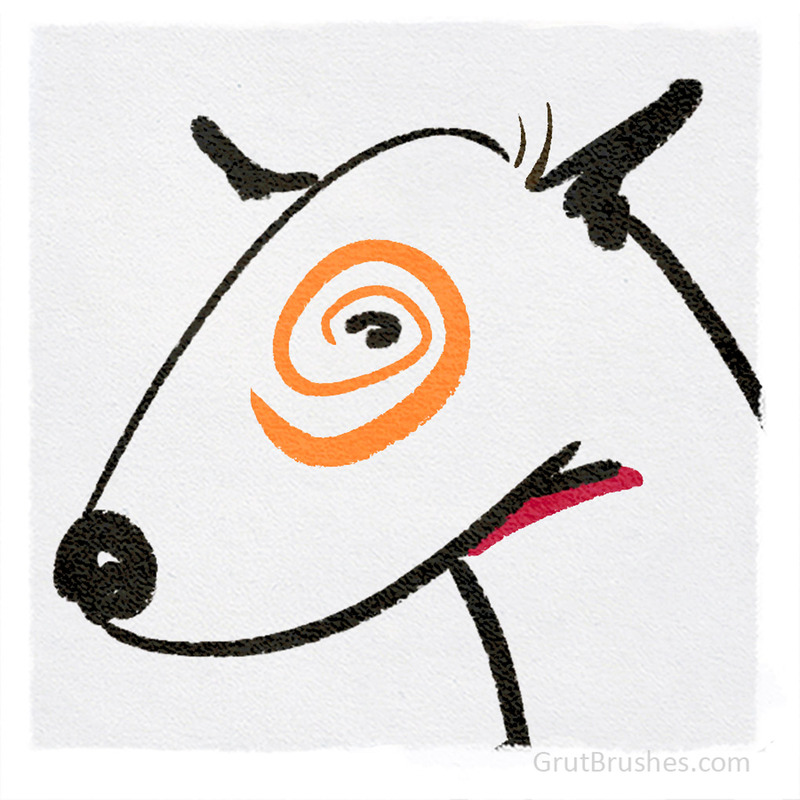 A Photoshop ink brush with a wavy stroke as if drawn with a substandard fountain pen or a clogging quill. 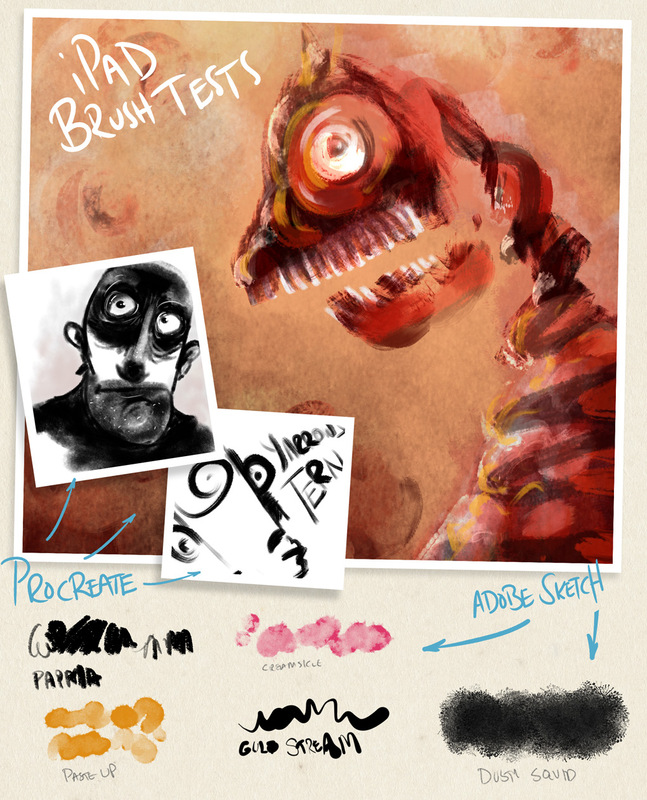 You can download it on the Free Brush of the Week page until next Monday when there will be a new brush available. 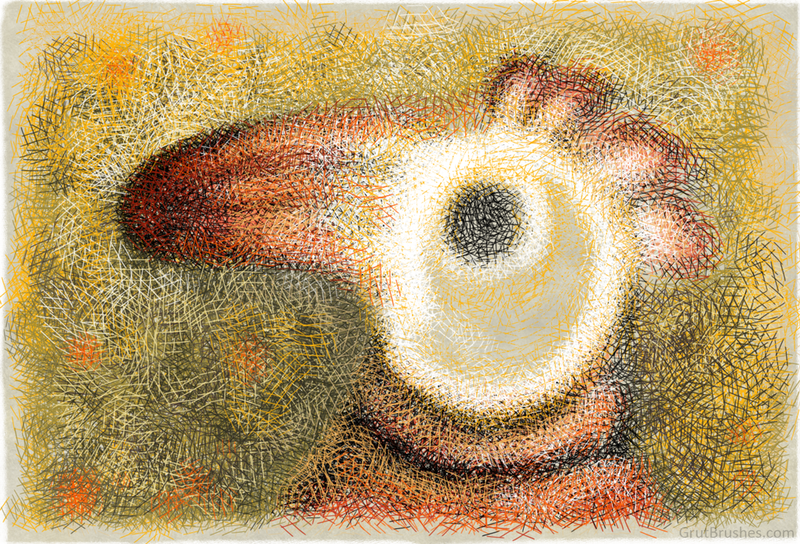 Drawn with the ‘Hatch Mesh‘ Photoshop cross hatching brush.